The Endowment Council is a dedicated group of professionals within the community who serve as advocates for Chapman University. Most members work as estate and tax attorneys, certified public accountants, trust officers, financial advisors and wealth managers. Whenever appropriate, they share news about the university with their clients and colleagues. In doing so, they open doors that will help the university to meet the financial goals necessary to grow its endowment and achieve its ambitious goals. 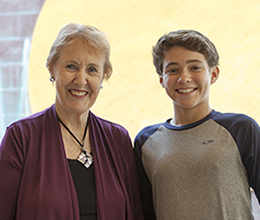 Members of the Endowment Council attend three informative breakfast programs each year that provide insight on timely topics as shared by some of Chapman University's premier faculty members and senior administrators. These programs are an outstanding opportunity to make personal connections with many of the top professionals within Southern California. Members are also invited to select special events throughout the year as a thank you for their active advocacy. There are no dues or giving expectations associated with serving on the Endowment Council, but we do ask for regular attendance at all three of the annual meetings. 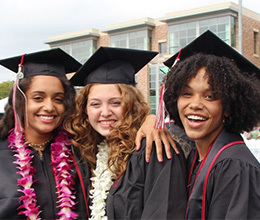 At Chapman University, we view relationships with our allied-professionals to be of crucial importance. We hope members of the Endowment Council will help us to expand on our current efforts, provide us with new ideas and establish more advocates in the community. Working together, we can do great things for the university and provide your clients with a meaningful philanthropic legacy. No matter where you live or work in Orange County, there is an undeniable presence of people who are living on the streets, in the parks and along the riverbeds. How did they get there? What is currently being done to address homelessness? What are potential solutions and at what cost? This is something that you and your clients have likely questioned. We have asked Dr. David Snow, a featured speaker from Chapman University's 2018 Local Government Conference, to speak on this important topic that affects the quality of life for all OC residents. His program is titled "The Characteristics, Causes, and Costs of Homelessness in Orange County: Working toward Solutions". Dr. Snow conducted the definitive study on homeless in Orange County and is one of the nation's leading experts on this important topic. A Distinguished Professor of Sociology at the University of California, Irvine, Dr. Snow has authored or co-authored well over 100 articles and chapters on homelessness, social movements, religious conversion, framing processes, identity, and qualitative methods in a range of sociological and social science journals, and 10 books including the award-winning Down on Their Luck: A Study of Homeless Street People (with L. Anderson). Attend this program for insights to answer your questions and those of your clients about homelessness in Orange County. Time and location: 7:30 a.m. breakfast, 8 a.m. meeting, Kennedy Hall. 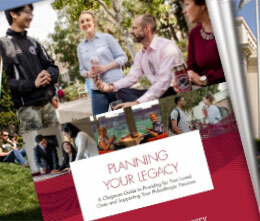 If you are interested in bringing a guest or making a referral for another professional to serve on the Chapman University Endowment Council, contact David B. Moore, Assistant Vice President of Legacy Planning, at (714) 516-4590 or dmoore@chapman.edu.